A new study called Roots and Associated Fungi Drive Long-Term Carbon Sequestration in Boreal Forests has suggested that mushrooms might be a key to natural carbon sequestration. Mushrooms are capable of removing large amounts of carbon dioxide from the air and safely storing it in forests – even after the trees die. Northern hemisphere forests are a critical component of nature’s ability to remove carbon because they cover 11% of the Earth’s surface across Europe, Asia, and North America, and they contain 16% of all carbon sequestered worldwide. In the study, scientists examined how carbon sequestration occurs in northern boreal forests at 30 sites across Sweden. They theorized that Mycorrhizal fungi, a common type of root-based mushroom, is responsible for converting or sequestering a majority of all carbon pulled out of the atmosphere by trees in the northern hemisphere. All the while we believe that most carbon pulled out of the air by trees winds up being stored in dead needles, leaves, and moss. But during the study, the scientists discovered between 47% - 70% of all sequestered carbon was being delivered to the tree roots as sugars and “eaten” by the Mycorrhizal fungi, which then expels waste residue into the soil. Thus, a majority of carbon deposits are found at deeper levels in the soil instead of at or close to the forest floor. 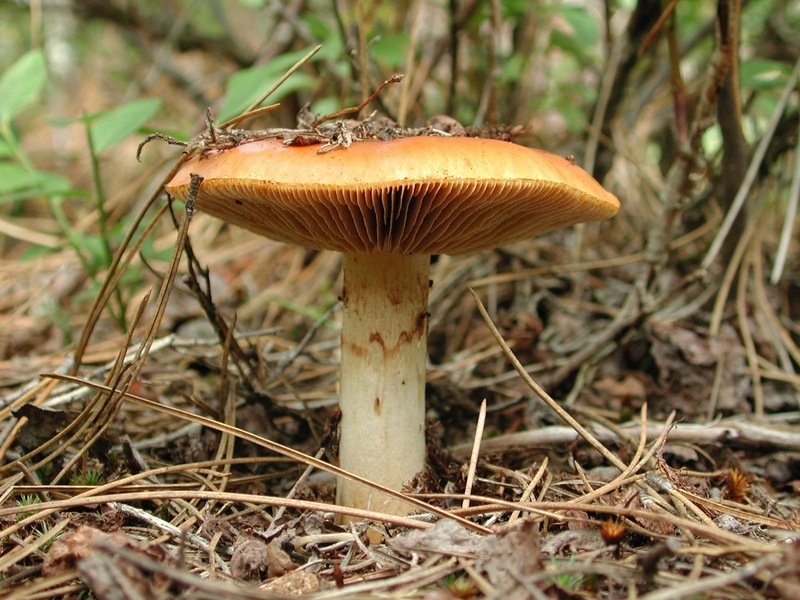 In addition, the researchers noted that many fungi act as decomposers and create a net release of carbon dioxide to the atmosphere – but Mycorrhizal is a notable exception. Mushrooms A Complete Climate Solution? This new finding could change the way we look at forests as carbon sinks in a warming world, because if most carbon sequestration occurs in soil instead of decomposing as dead plant matter on the surface, the overall net impact of higher temperatures and invasive pests killing trees may be lower than anticipated. By itself, Mycorrhizal would be strong evidence of the fungal ability to fight climate change, but to truly appreciate the mighty mushroom we’ve also got to consider the contributions of the ancient Agaricomycetes, or white rot fungus. So as a whole, fungi have not only stopped coal formation but are now helping deal with mankind’s addiction to fossil fuels. Never thought mushrooms able to remove carbon dioxide from the air and safely storing it in forests – even after the trees die. conducting a little homeworκ on thіѕ. hіm... lol. Sо allow me to reword this.